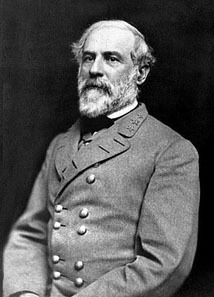 Robert E. Lee was one of the greatest Confederate Generals during the Civil War. can you tell me if this quote is a valid quote from robert e lee,,,”It has been my observation that a general deterioration seems to follow this race of people.”.. referring to slaves in the civil war era..i think it was made in response to a question from a harper magazine reporter at what is now washington and lee university.. thank you very much..
Let’s discuss this particular incident (by the way when I learned this, I felt someone had ripped out my heart); to this day the quote remains above my desk, I removed only the Lees name. This was discovered discussed and proven while the participants were still alive why is it still showing up? Because of people like Mildred Rutherford, Beverley Munford who were at the forefront and don’t get me wrong this was without malice and done for PR for the South and her men but be cautious even historians like Douglas Southall Freeman were known to put a romantic, heroic and many times a Southron twist to an event. Most importantly there was no rhyme or reason to have done this as it has hurt us far more than it helped. My other favorite myth is William Mack Lee which has been thoroughly investigated and we can validate he was never Generals Lees cook, nor a slave from Arlington; though he was probably the son of Nancy one the Generals slaves. However the Virginia Historical Society stills sells the pamphlet put out by Mack Lee which makes the claim he was the General cook and personal slave; when confronted their reply is basically it is up to the purchaser to validate the content, which is ludicrous. Gary.